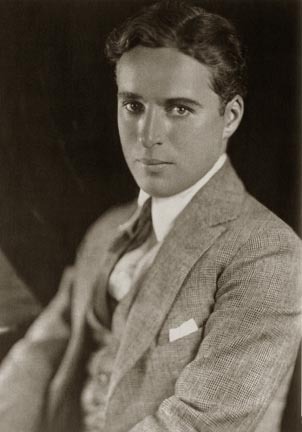 Sir Charles Spencer "Charlie" Chaplin, KBE was an English comic actor and film director of the silent film era who became one of the best-known film stars in the world before the end of the First World War. Chaplin used mime, slapstick and other visual comedy routines, and continued well into the era of the talkies, though his films decreased in frequency from the end of the 1920s. His most famous role was that of The Tramp, which he first played in the Keystone comedy Kid Auto Races at Venice in 1914. From the April 1914 one-reeler Twenty Minutes of Love onwards he was writing and directing most of his films, by 1916 he was also producing, and from 1918 composing the music. With Mary Pickford, Douglas Fairbanks and D. W. Griffith, he co-founded United Artists in 1919. In 1999, the American Film Institute ranked Chaplin the 10th greatest male screen legend of all time. In 2008, Martin Sieff, in a review of the book Chaplin: A Life, wrote: "Chaplin was not just 'big', he was gigantic. In 1915, he burst onto a war-torn world bringing it the gift of comedy, laughter and relief while it was tearing itself apart through the First World War. Over the next 25 years, through the Great Depression and the rise of Hitler, he stayed on the job. It is doubtful any individual has ever given more entertainment, pleasure and relief to so many human beings when they needed it the most." George Bernard Shaw called Chaplin "the only genius to come out of the movie industry."